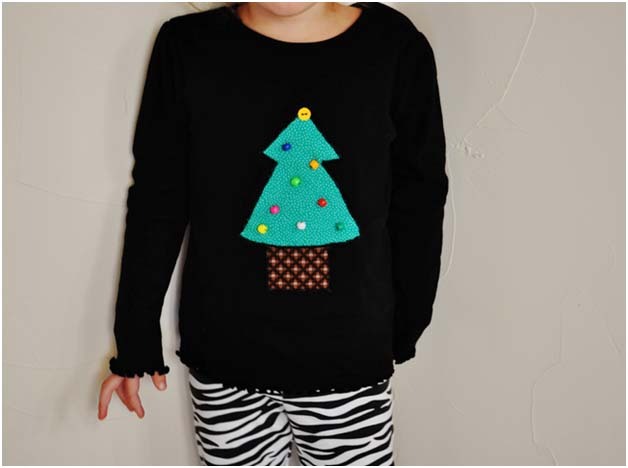 For me, Christmas is all about creating memories for my children. 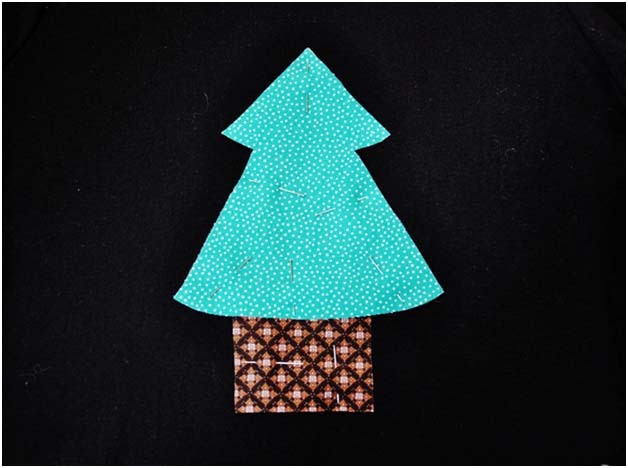 Next, fuse another piece of interfacing to the wrong side of the tree and stump fabrics. 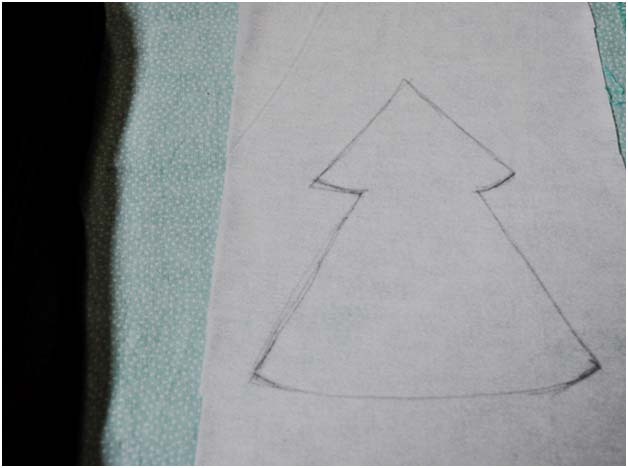 Draw your tree shape right onto the interfacing. Don’t worry, it won’t show through. 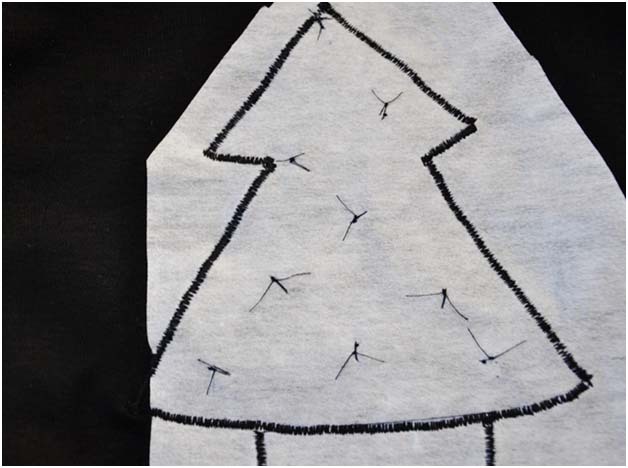 Flip the shirt right side out and place your tree and stump where you want them. Pin in place. 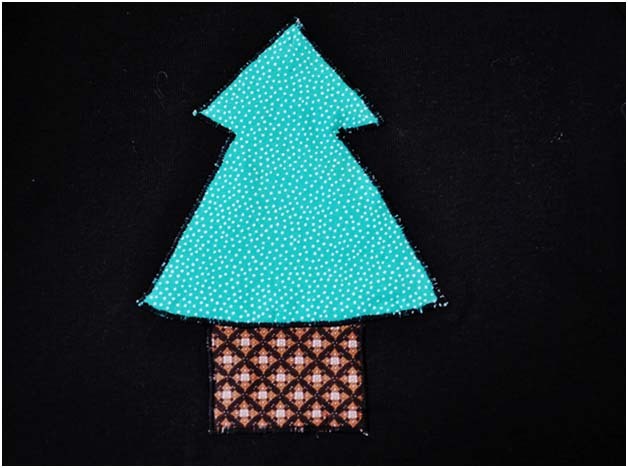 Using a tight zig zag stitch, sew down the tree and stump. 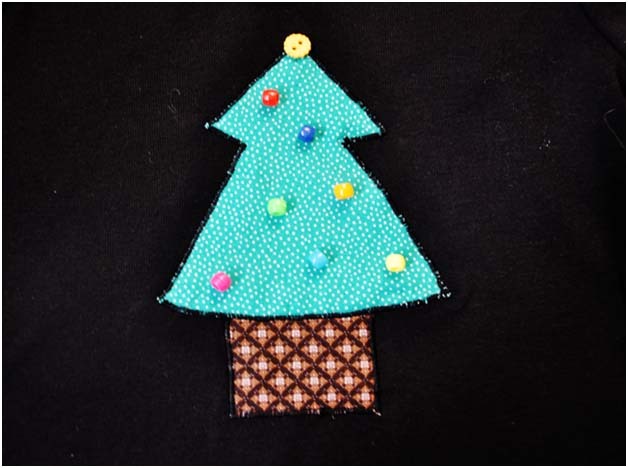 Next, lay out where you want your beads and button. Starting with the top button, hand sew in place. 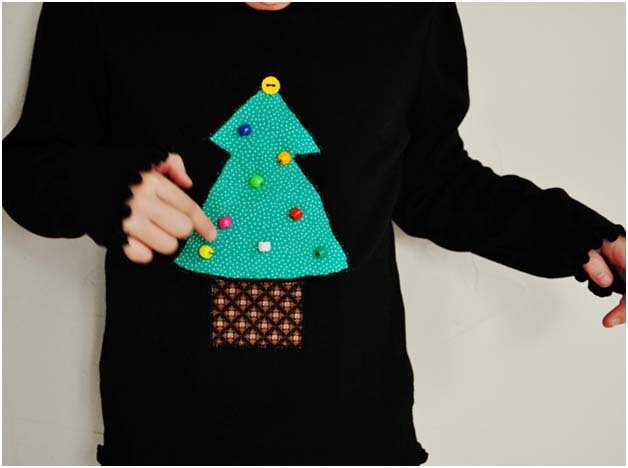 Hand sew on each bead too! 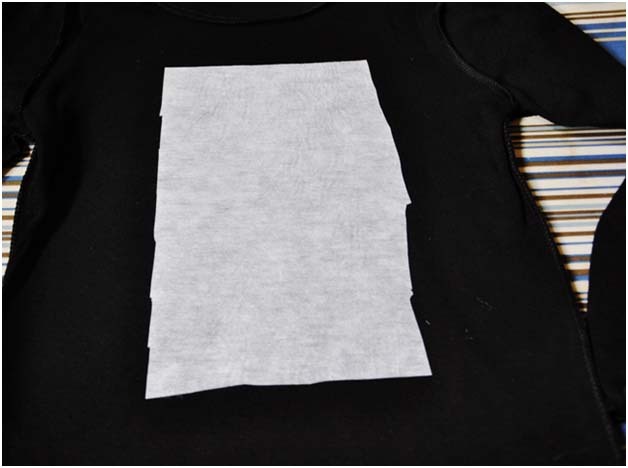 Here is what the inside will look like once you are done! 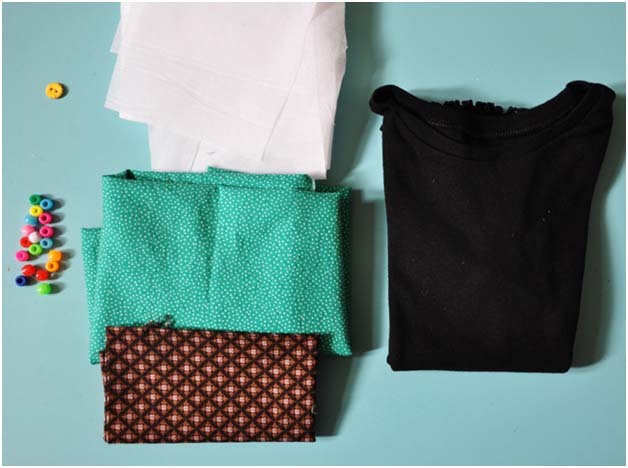 Make sure to wash your cute new shirt inside out on gentle cycle, or hand wash and hang dry.